Performance Acura (St. Catharines, ON) – The 2015 Acura TLX is an all-new midsize sports sedan, the successor to the TL, and the third vehicle in Acura’s re-envisioned performance-luxury sedan lineup, positioned between the ILX entry-luxury sedan and the RLX flagship Acura sedan. It’s a good match for the midsize sports sedan enthusiasts and drivers in Canada. Developed under the theme of ‘Red Carpet Athlete,’ the all-new TLX is designed to deliver a unique and compelling blend of sports-sedan athleticism and premium (red-carpet) luxury refinement, while delivering on Acura’s ‘Synergy Between Man and Machine’ product direction – characterized by vehicles that perform “at the will of the driver” with intuitive, exhilarating and confidence-inspiring driving dynamics. To achieve its dual mission of even sharper sports-sedan performance and increased luxury refinement, the TLX employs a host of new technologies, including two new, high-output direct-injected i-VTEC engines; two advanced new transmissions, including the world’s first automotive Dual Clutch Transmission with torque converter; and the latest iterations of Acura precision-handling technologies – Precision All-Wheel Steer (P-AWS), next-generation Super-Handling All-Wheel Drive (SH-AWD), and Agile Handling Assist (AHA). These new technologies, in combination with its all-new body and chassis design, help define the TLX as the most dynamically advanced Acura ever produced; quick and responsive in sporty driving, stable and sure-footed in higher speed maneuvers, calm and quiet during long-distance cruising. And the TLX SH-AWD with next-generation Super-Handling All-Wheel Drive, available only with the 3.5-liter, 290 horsepower V-6 and 9-speed automatic. 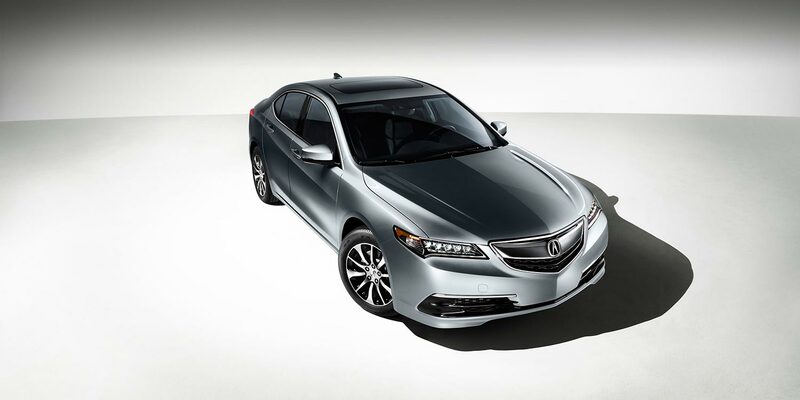 All three TLX models carry a long list of standard luxury comfort, convenience and safety features. TLX models with the 2.4-liter engine can be upgraded to the Technology package and models with the 3.5-liter engine are available with Technology or the line-topping Advance Package. The TLX’s new chassis, powertrains and precision-handling technologies are wrapped in a lithe new exterior design with taut body surfaces, dynamically sculpted fender arches, and purposeful character lines. Its sporting character is emphasized by more compact sports-sedan proportions: Compared to the 2014 TL, the 2015 TLX is 3.7-inches shorter in overall length while maintaining the same wheelbase and tandem (front-to-rear) passenger-seating distance. The TLX’s front and rear overhangs are shortened by 1.1 inches and 2.7 inches, respectively, when compared to the outgoing TL. The TLX also features a new 60/40-split folding rear seatback for greater cargo-carrying flexibility and a new trunk design featuring a wider and deeper opening, a lower lift-over height, a fully flat cargo floor, and two new optional underfloor storage compartments. The TLX’s spacious five-passenger interior is designed and engineered to underscore the ‘Red Carpet Athlete’ development theme of the new TLX, providing a high degree of refinement, luxury comfort and technological sophistication while supporting an exhilarating driving experience. High-end premium elements include a soft-touch, one-piece instrument panel upper cover, alloy and wood-grain accents, and available Milano leather seat trim. The TLX also features the next generation of AcuraLink®, Acura’s cloud-based connected car system, offering Acura owners a broad range of cloud-based and embedded convenience, connectivity and available security features. All TLX models come equipped with Siri Eyes Free technology that when paired with a compatible iPhone, allows the driver to use the features of Siri using familiar voice commands. Additional standard and available luxury features includes one-touch turn-signals and power windows, power driver and front passenger seats, GPS-linked automatic climate control, color Multi-Information Display (MID) with turn-by-turn guidance, LED accent lighting, HD Radio®, Pandora® and Aha™ integration, and HDMI and USB connectivity. 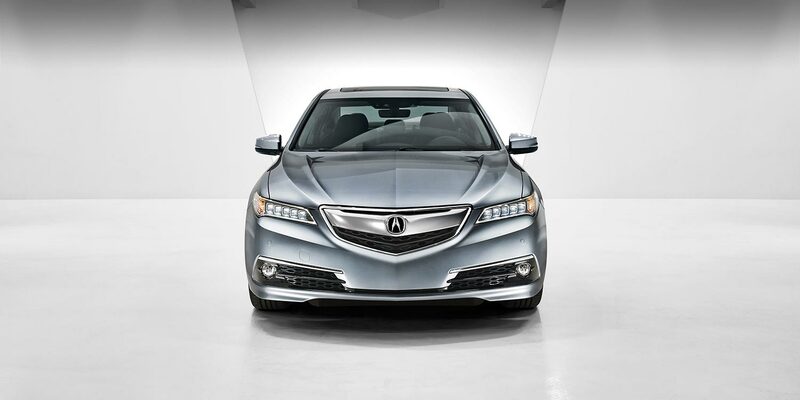 In keeping with Acura’s commitment to delivering a world-class audio experience, the TLX in Technology and Advance trims come equipped with a 455-watt, 10-speaker Acura/ELS Studio® Premium Audio System, engineered specifically for the TLX by legendary recording engineer Elliot Scheiner. TLX models featuring the new 3.5-liter V-6 engine utilize an advanced new Electronic Gear Selector, using an intuitive push-button array in place of a traditional gear lever, freeing up center-console space while presenting an advanced and futuristic appearance. All TLX models incorporate an Electronic Parking Brake with Automatic Brake Hold, which, when activated, retains brake pressure when the vehicle is stopped, simplifying driving in heavy traffic or on steep hills. At the heart of the TLX’s athletic sports-sedan performance capabilities are two new powertrains, both utilizing direct-injection, i-VTEC valvetrains with variable cam phasing, and low-friction technologies to deliver higher output and more linear and responsive power delivery, as well as to garner class-leading fuel-economy ratings. The direct-injected 2.4-liter DOHC i-VTEC in-line 4, producing a peak 206 horsepower and 182 lb.-ft. of torque, is mated to an all-new 8-speed Dual Clutch Transmission (8DCT) with torque converter, the world’s first transmission of this type to be paired with a torque converter. Featuring Sequential SportShift, closely spaced ratios, ultra-quick shifts and automatic rev-matching downshifts, the 8DCT gives the 2.4-liter TLX an aggressively sporting yet refined feel. The torque converter provides exceptionally smooth operation in stop-and-go situations, plus it offers off-the-line torque multiplication for substantially improved initial acceleration that a DCT alone cannot equal. The direct-injected 3.5-liter SOHC i-VTEC V-6 incorporates Variable Cylinder Management (VCM), with the ability to deactivate three of the engine’s six cylinders, for improved fuel efficiency. The aluminum-alloy 24-valve engine produces a peak 290 horsepower and 267 lb.-ft. of torque, gains of 10 horsepower and 13 lb.-ft. versus the 2014 TL 3.5-liter engine. The engine is mated to a new 9-speed automatic transmission with wider gear ratios featuring Sequential SportShift. The new 9-speed unit is substantially lighter than the 6-speed automatic in the previous TL, with a wider overall ratio range and more closely spaced individual gear ratios to enhance both performance and fuel efficiency. No competitive vehicle in the segment offers as many transmission ratios. TLX models featuring the new 3.5-liter V-6 engine and 9AT also utilize an advanced new Electronic Gear Selector that replaces the traditional gear lever with an intuitive and easy-to-operate push-button array. The new interface frees up center-console space while presenting an advanced and futuristic appearance. The TLX SH-AWD also incorporates a model-exclusive idle-stop capability for improved fuel efficiency. A new 28-volt Active Control engine mount significantly reduces engine vibration during restarts. The TLX equipped with the 2.4-liter engine has an EPA fuel-economy rating of 24/35/281 mpg city/hwy/combined, among the highest for any vehicle in its class. The TLX with the 3.5-liter V-6 with P-AWS has an EPA fuel-economy rating of 21/34/251 mpg (+1 city/+5 highway versus the two-wheel-drive 2014 TL). The TLX SH-AWD has an EPA fuel-economy rating of 21/31/251 (+3 city/+4 highway versus the 2014 TL SH-AWD). 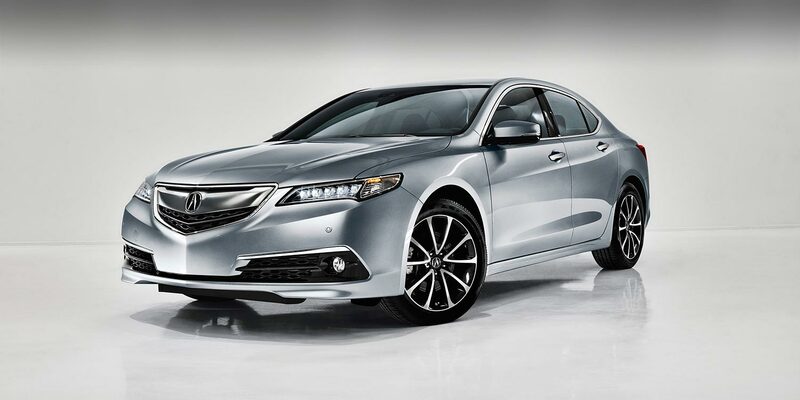 Two-wheel-drive TLX models, with either the 2.4-liter or 3.5-liter engine, come equipped with the latest iteration of Acura Precision All-Wheel Steer (P-AWS). This new P-AWS system was integrated into the fundamental chassis design from the earliest stages of development, allowing engineers to take full advantage of its independent left and right rear-wheel toe angle control to enhance overall handling precision, low-speed maneuverability and high-speed stability. The TLX SH-AWD features a new hydraulically controlled iteration of Acura’s acclaimed torque vectoring Super Handling All-Wheel Drive™ (SH-AWD®). This next-generation SH-AWD system is 25 percent lighter with reduced friction. The new rear-drive unit is constantly overdriven by 2.7-percent (compared to 1.7 percent on the previous system), providing a greater torque-vectoring effect across a broader spectrum of driving situations and further enhancing cornering capability at lower speeds and in tighter-radius corners. Near-limit and high speed maneuvering capabilities of both the P-AWS and SH-AWD models are further enhanced by the use of Agile Handling Assist (AHA), which utilizes the TLX’s Vehicle Stability Assist and premium 6-piston brake modulator to create a yaw moment (a vehicle turning force), helping the driver smoothly and easily trace the desired line with smaller steering-wheel inputs. AHA stabilizes the car earlier than conventional VSA, resulting in more agile and engaging dynamic performance in everyday driving conditions. All TLX models also feature the latest development of Acura’s Integrated Dynamics System (IDS), which allows drivers to customize their driving experience through four selectable modes – ECON, Normal, Sport and Sport+. Depending on the setting, IDS will adjust power-steering effort, throttle response, transmission shift logic, HVAC system operation, and the control logic for either the P-AWS or SH-AWD systems. The new Sport+ mode, a first for Acura, unlocks the full performance potential of the TLX with the most aggressive settings in all areas. The TLX also advances Acura’s reputation for delivering cutting-edge safety and driver-assistive technologies. The TLX is the first Acura vehicle to deploy a new cooperative monocular camera and millimeter wave radar system that expands both the fidelity and scope of the vehicle’s road-sensing capabilities. This fusion of camera and radar technology underpins the TLX’s available Collision Mitigation Braking SystemTM (CMBS) which can now provide enhanced car-to-car and car-to-pedestrian collision mitigation while also enhancing the capabilities of the Adaptive Cruise Control. The TLX is the first Acura vehicle to deploy a new Road Departure Mitigation (RDM) system, which is included with the Advance Package. RDM uses the monocular camera to recognize painted lane lines, Botts’ Dots and Cat Eye markers to determine lane boundaries. When the vehicle’s current travelling direction would cause it to stray from a detected lane, the system warns the driver and assists by applying corrective steering input and, if required, braking force to help the driver maintain their current lane. Additional standard and available driver-assistive features include Blind Sport Information (BSI), Lane Departure Warning (LDW), Forward Collision Warning (FCW), Expanded View Driver’s Side Mirror, Lane Keep Assist (LKAS) and new Cross Traffic Monitor (CTM). The TLX also employs Acura’s next-generation Advanced Compatibility Engineering (ACE) body structure, along with advanced supplemental restraint systems – including front, side, side-curtain and driver’s knee airbags – to provide a high level of occupant protection in a wide spectrum of collision scenarios. The TLX is anticipated to earn a five-star Overall Vehicle Score in the NHTSA’s NCAP safety ratings, and a TOP SAFETY PICK+ rating from the Insurance Institute for Highway Safety. The TLX is built on an all-new platform (body and chassis) that was designed from the ground up to support and enhance the vehicle’s outstanding driving dynamics, luxury-sedan refinement, class-leading fuel efficiency and high-level collision safety performance. The chassis features a newly designed four-wheel independent suspension system – McPherson Strut front and multi-link rear – with revised geometry and new Amplitude Reactive Dampers for improved ride comfort and handling performance. New Motion-Adaptive Electronic Power Steering delivers a high level of steering precision and responsiveness while aiding fuel efficiency. It also works cooperatively with the vehicle’s Vehicle Stability Assist (VSA) traction-control system to help the driver maintain vehicle control in slippery road conditions in Ontario. In their effort to significantly reduce the intrusion of wind, road and engine noise into the cabin, Acura engineers paid special attention to body sealing, reducing open air paths by 50 percent compared to the outgoing TL. The TLX is also the first Acura to utilize acoustic spray foam, which is applied in10 critical location throughout the body. Additional noise-reduction features include triple door seals, the expanded application of body sealing and sound absorptive materials, an acoustic glass windshield, and electronic Active Noise Control (ANC).